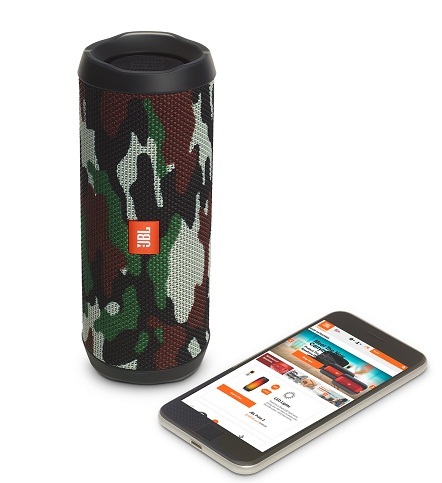 JBL introduced its latest Bluetooth Speaker, Flip 4, recently. 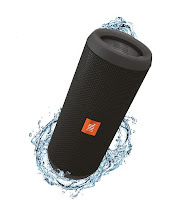 The new waterproof speaker comes to the market with the task of replacing Flip 3, is an option that should follow the legacy of the predecessor and continue to attract the consumer because of the balance between good quality sound and a set of interesting features. The differences between Flip 3 and 4 of JBL in terms of technical specifications are not profound. Both have 8 watts power and transducers of 40 mm. However, the Flip 4 takes advantage of the signal-to-noise ratio of 80 dB vs. 70 of Flip 3. Another technical difference that favors Flip 4 is the generation of Bluetooth supported by the box: version 4.2 of the technology is more efficient and economical in terms of energy than the standard 4.1, supported by Flip 3. This difference helps to explain the advantage in terms of Flip 4's autonomy. 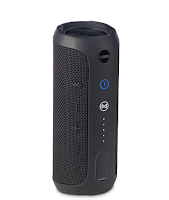 Strictly, there are differences of technical specifications regarding the audio output between Flip 3 and 4, favoring the new version of the speaker. However, the differences are very small, of the type that would hardly be noticed by the vast majority of users, especially in the consumption of music files of lower quality, such as MP3s of 128 kbps. If for you, the main thing to decide to purchase is sound quality, choose without worry: both Flip 3 and Flip 4 should deliver fairly similar signatures. As noted earlier, Flip 4 uses a newer Bluetooth standard than the one supported by Flip 3. The new generation of this wireless interface allows Flip 4 to consume less power to communicate with the audio player device. The result is that the Flip 4 with a battery with the same 3000 mAh of the one that accompanies the Flip 3 offers up to 12 hours of audio playback as opposed to 10 hours of the predecessor. These figures released by JBL may even be larger depending on how loud you listen to the song. The greater autonomy may be reason enough to convince those who are looking for a new wireless box and is undecided by the two options. Flip 3 and Flip 4 are similar in features: both allow connection to multiple devices at the same time, JBL's hands-free support and Connect technology, which allows the connection of multiple speakers to create an experience Of higher quality. But Flip 4 has two major advantages: unlike Flip 3, which can survive spills, Flip 4 can survive for 30 minutes up to one meter deep. Another interesting advantage of the new version of Flip is the support for the virtual assistants Google Now and Siri, nonexistent in Flip 3. At the moment, at least in the official JBL store, Flip 3 is sold for $ 80 while Flip 4 is sold for $ 100. The difference of $ 20 is small. For this money, whoever chooses Flip 4 takes home a sound box that delivers almost the same sound as Flip 3, but that has two hours more autonomy, possibility of being submerged in up to one meter of water and access to Google Now and Siri. Depending on your usage profile, these three advantages may justify the investment. But if you just want a good quality wireless sound box to listen to music, the Flip 3 much cheaper, will suit your needs well. Overall, if the two hours of battery life and protection against water are important to you, the $ 20 plus for Flip 4 is a good investment.